Lean, curly haired, ruggedly good looking Douglas Kennedy should have been a major western star, all the ingredients were there. At 6' 1" he was the type of handsome, personable actor TV was looking for. 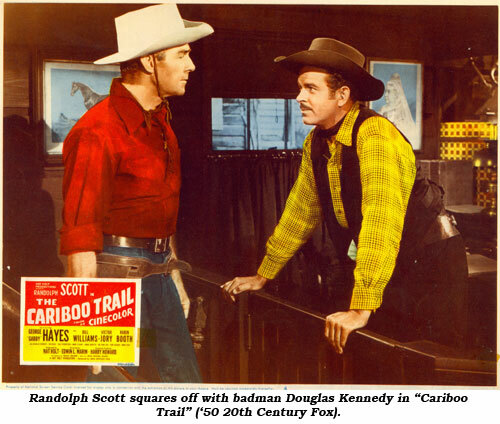 Unfortunately, the stardom that finally came his way in ‘55 was “Steve Donovan, Western Marshal”, a cheaply produced B-western type half hour western from ex-Lone Ranger producer Jack Chertok that did nothing to enhance Kennedy’s star status. His roles in films in the late ‘50s became less and less noteworthy. Douglas Richards Kennedy was born in New York City September 16, 1917, the son of Dion W. Kennedy and Alice Frances Richards. His father was a musical composer and organist. Doug attended Larchmont, New York, high school then graduated from prestigious Deerfield Academy and Amherst College in Massachusetts. At one time he held aspirations to enter diplomatic service but instead took his first job with a New York advertising agency. A lyric baritone, he picked up a few occasional singing jobs then finally journeyed to California where he taught English at the Thatcher School for Boys in Ojai while he attempted to find work in the film industry. Eventually, he began to obtain bit parts in films in 1940 often using the name Keith Douglas. He’d done some 18 small roles when any momentum he’d built up was interrupted by WWII. Doug enlisted as a private in the Army, rising with distinction to the rank of Major in the Signal Corps working with the O.S.S. and Army Intelligence. 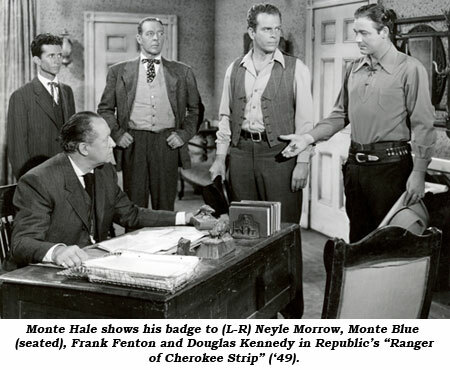 Upon his discharge in late 1946, he signed a contract with Warner Bros. with the promise of leading man status. Somehow, the right part and stardom eluded him. 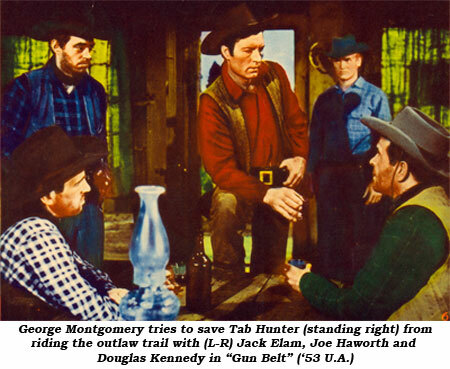 His first “real” role in a major western was as one of the three partners of the Three Bell Ranch along with Joel McCrea and Zachary Scott in “South of St. Louis” in ‘49. Kennedy had an auto accident in the early ‘50s. He had his left hand hanging out an open window and the car rolled over his hand. As a result of the accident he couldn’t close that hand and his little finger was permanently bent. 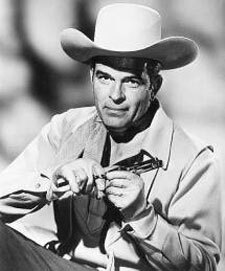 By the ‘50s he was playing nasty heavies in many westerns (it seemed like he was in every other George Montgomery starrer) and on TV with the Lone Ranger, Annie Oakley and others. Kennedy went on in the ‘50s and ‘60s to guest star on all the major TV westerns, eventually portraying Sheriff Fred Madden of Stockton, California, for the last two seasons of “Big Valley” (‘67-‘69) after which he retired to Kailua, Oahu, Hawaii. His last several roles were on the Hawaii lensed “Hawaii Five-0” which were shown after his death. Kennedy died at only 55 August 10, 1973, at Straub Hospital in Honolulu of a massive hemorrhage. The heavy who should have been a star was cremated. He was survived by three daughters and a son by an earlier marriage and two daughters by his second wife, Betty Lou Howell.